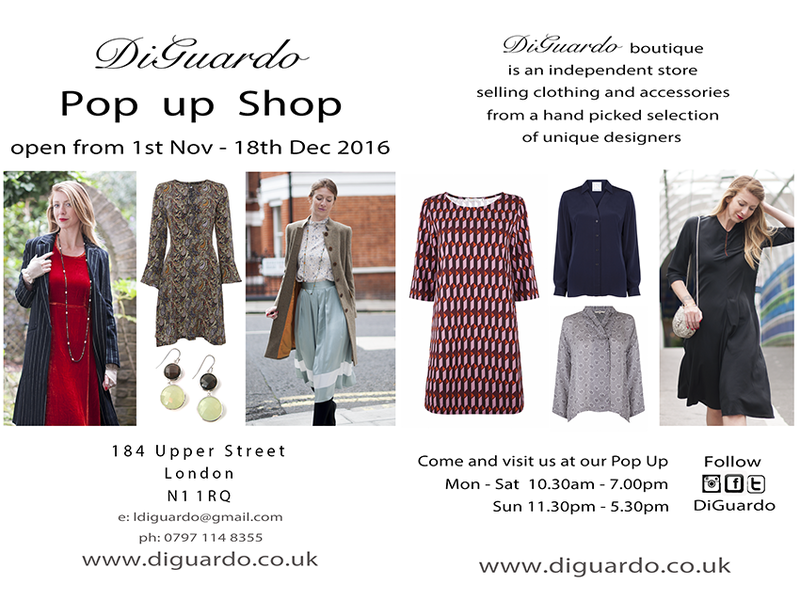 We’ll be opening our DiGuardo Winter PopUp Shop at 184 Upper Street N1 on 1st November until 18th December. Come and see us and browse our new winter collection. We will have more designers, some new events.